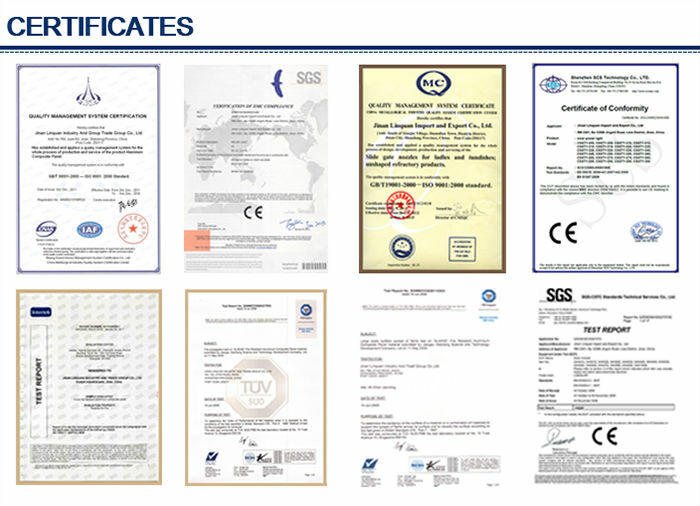 Within 15 to 20 days after receiving deposit or L/C. 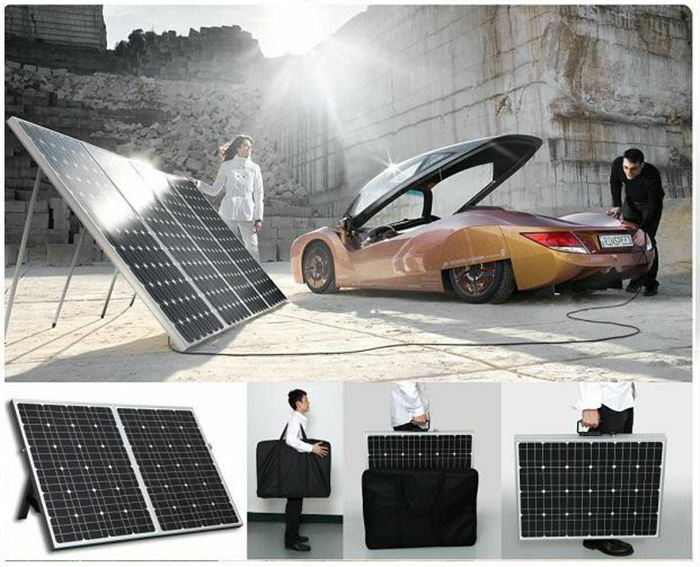 This Monocrystalline Solar Panel is a convenient alternative energy solution for those on the move. Set up camp just fold it out so your batteries are being charged, then fold it away when it's not longer in use. Featuring an alligator clamp, it also has an charge controller; so you can connect directly to your battery without fear of overcharging. A stand is included so you can position the panel for optimum capture. Excellent for camping, 4WD, boating etc! 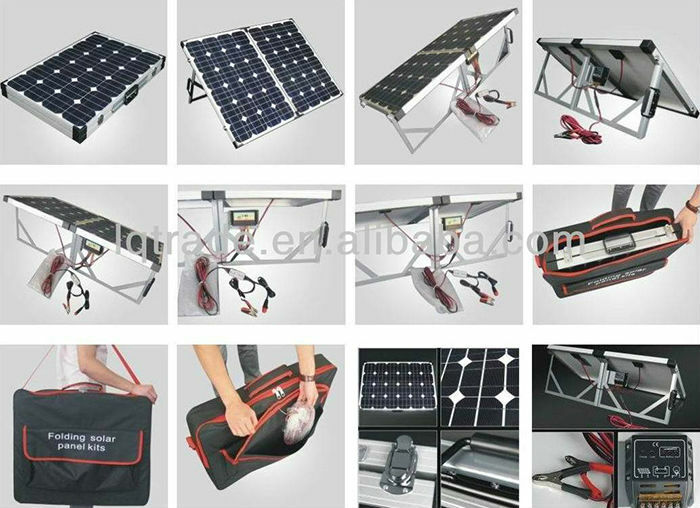 Adopting latest electronic technology, the fold-up solar panel kits comes with pre-fitted solar controller regulator, handle, anti-sliding supporting legs, extension cable 5m length with battery clamps, corner protection. 5. Supporting legs and handles also available for easy location & portable consideration. 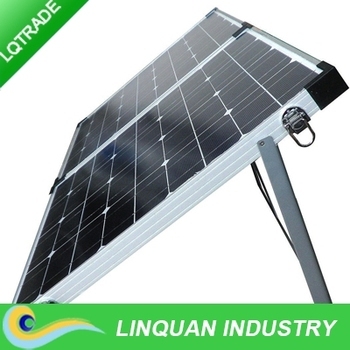 10W-200W Portable Monocrystalline Solar Panel, Accept customer design. Heavy duty metal latches and carry handle. 5m battery lead with alligator clamps. Controller regulator, Cable 5M length, Alligator Clip, Supporting Leg. 1. 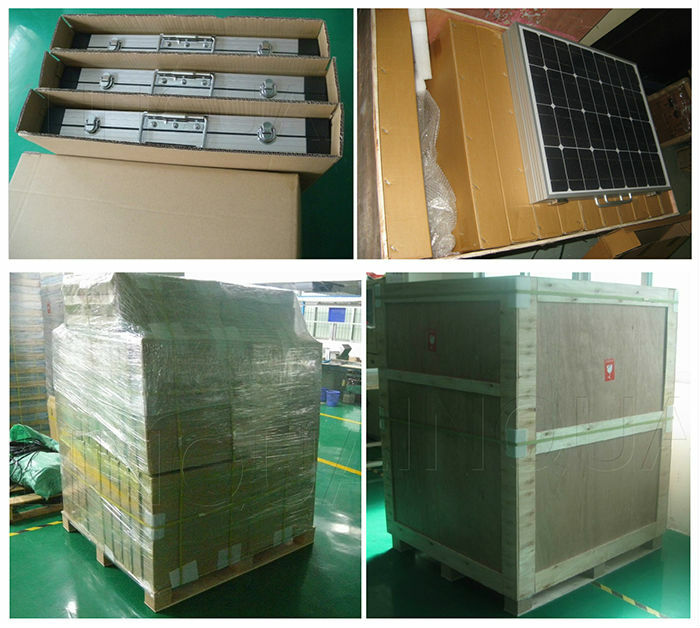 Packing : 1set/ hand bag / exporting carton /pallet/container; Strong Carton, Wooden pallets as to customers' require. 1)Provide power for lighting and entertainment in remote area ,such as lights,fans,laptop,refrigerators and TV etc. 2)Used in emergency,such as family use,back-up power for office. 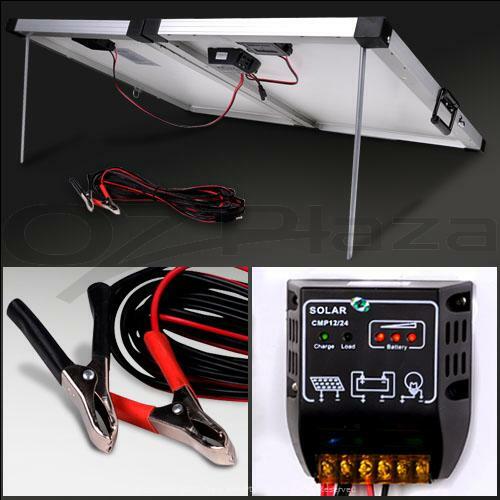 3)for camping,travel,adventrue,exploration,road builting and other fields of ourdoors perfromance And charge for 12V or 24V battery .